The Police School in Cluj Napoca is near the train and bus stations in the city, which offers transport to the nearby villages, but also to major cities in Romania and Europe. The Police Officers School ' "SEPTIMIU MUREŞAN" in Cluj-Napoca was established by the Minister of Administration and Interior and operates under the general and special laws, normative acts issued by the Ministry of Education and Research and the Ministry of Interior. 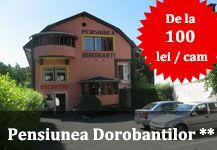 The Police School is located near the exit to Zalau, where you can find many accommodations. Hotels and guesthouses in the area provides accommodation and services for all tastes and pockets. 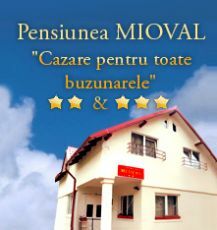 Standard features are unique wall heating, individually controlled air conditioning, secure entry system with magnetic card rooms, smoke detectors and fire prevention system in all public spaces, plasma TV, cable TV with 70 programs, wired and wireless internet, secure parking and video monitoring, luggage room - front desk, safe for valuables - front desk, hair dryer, clothes dryer, ironing board, iron - on request, free newspapers / magazines and taxi orders. 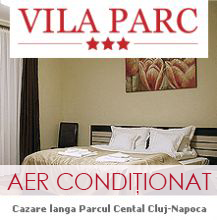 Prices start at 70 lei / single room / night and can reach up to 210 lei / apartment for 4 persons / night.